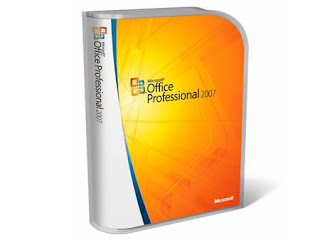 Microsoft India has announced the availability of the fully localized Hindi version of 2007 Microsoft Office. Initially, the Hindi edition will be available with Microsoft Office Professional 2007 and Microsoft Office Standard 2007 versions. The launch is an outcome of the commitment Microsoft made under Project Bhasha, a program it launched in September 2003 to promote local language computing in India. Microsoft will also be launching Language Interface Packs (LIPs) for 2007 Microsoft Office in thirteen Indian languages including Marathi, Gujarati, Tamil, Punjabi, Bengali, Malayalam, Kannada, Nepali, Konkani, Telugu, Urdu, Assamese and Oriya before the end of 2007. Project Bhasha, by Microsoft aims to bring IT to the Indian masses. Representatives say this is a comprehensive program focused on localizing and providing local interfaces for Windows and Office in 14 Indian languages. Under the program, Microsoft is committed to focus its efforts along four key areas primarily; Product Localization, Government Collaboration, Academia/Developer Integration and building a Local Language IT ecosystem through Community/Industry Participation.